Those of you who have read my other articles or all of you who have already had your first hydroponic crop know that pH is a constant concern which becomes a little bit of a pain after a while. Hydroponic gardeners need to constantly adjust the pH of their hydroponic solutions to the desired level and - although many are really obssesive about this - it is truly not very comfortable to have to do these corrections day in and day out. So how do we completely avoid the need to modify the pH of our hydroponic crop ? How can we maintain the pH of our crop constant as time evolves ? Through this article I will show you what I have found out - both through personal research and an extensive literature search - and you will see that there is a very EASY solution to maintain the pH of your hydroponic solution with NO further modifications. So how do you maintain pH constant ? There are several ways to tackle this problem. The use of a citrate/buffer has been discussed on a previous article but its use is affected by the fact that calcium citrate is insoluble and nutrient solution composition limits the concentration and effectiveness of the buffer to around 1mM. Carbonate ions also pose a problem since their concentration also needs to be kept at a safe thresehold for the plants which is also around the 1mM level. In the end this buffer is able to control pH to a good extent buts its practical use is limited by calcium levels and the presence of citrate ions may also cause important complexation of ions such as zinc, an effect which - if used excesively - may cause micro nutrient defficiencies. How do we keep pH constant without using any buffer ? The solution comes as ion exchange resins. These substances are polymer like matrixes which have functional groups on their surface that react with acids and bases and provide you with a constant pH level. Ion exchange resins are insoluble and the only thing they need to be efficient is to have solution passed around them all the time. So it is simply a matter of putting the ion exchange resin in a place where fresh passing solution will be in contact with it all the time - like inside a filter connected to the irrigation system - and thats it, no more pH problems, no more additions to control pH, problem absolutely solved. However not ALL ion exchange resins work. Particularly the type of resins that work well in hydroponics are weakly acidic cation exchange resins and their effect has been studied extensively on several peer reviewed publications. If you want to use these resins in your hydroponic system you need to buy the commercially available Amberlite DP-1, Amberlite IRC-50 or the more recently available Amberlite CG50. You would need about 1g per gallon of solution you wish to control and you should place the resin in an inline filter - those used for drip irrigation are great - to achieve the desired pH control levels. When the resin stops working you simply need to take it out, wash it place it in dilute hydrochloric acid (your average pH down solution will do), then wash it again, to regenerate its surface and prepare it for another crop. you are the best thing that has happened to me JJ. Its more like me finding your blog is the best thing that has happened to me. <br /><br />This will allow me to continue my hydro endeavor to self sufficiency. I have to go out of town for work from time to time and now with a few mods to my current system. I will not have to stress over PH problems while I'm away. <br /><br />Thanks again <br />I shale have never have to buy produce at the grocery store again (I hope) due to crop failures caused by ph issues. Hi Daniel,<br /><br />Great blog! I tried to contact you through email but my message was returned. Would you please contact me at foesho1313atyahoo <br /><br />I just have a couple question.<br /><br />Thanks! I know that this is an old article, but I have an important question. When you used ion exchange resins to buffer your PH what reading were you buffered at? What specific PH number could I expect using Amberlite CG-50? Great Great Site ! My goal is to keep a constant PH of 5.8. I cant afford to make a mistake when I buy the AMBERLITE® CG-50 to try out. Seems there is a type 1 and 2 and not sure what that is...? Also the large mesh seems to be important (1000-2000), and cant seems to find that spec on a lot of sites. Can you provide a link for all of us to buy the AMBERLITE® CG-50 that will meet all of these specs? I hate to seem so lazy but need it to be right and I'm not a chemist by any means. Also if there is a specific manufacturer that is more consistent at fabrication for 5.8 and makes a better product, that would be the one I would want to buy. Even if its more expensive. ----THANKS PS-- if I had a 100 gal reservoir of fresh water (no nutrients) and the water was 7.9. Then i dropped the amberlite in to the water...how long would it take to adjust to 5.8? instantly? or take some time? Great article. I have some questions about Amberlite CG50 (correct? ), if you don't mind. I would like to use it with with my setup. I have read the relevant paper I could find*, and I'm hoping to get first hand input from you: --- Do you wash and pre-charge your Amberlite before first using the Amberlite? In the above blog post you wrote you regenerate it with dilute hydrochloric acid. However, according to the studies at the bottom of the message, the pre-charging process is quite involved, and it's done to limit the loss of cations we want (ex., Mg, Mn, etc.) to the resin, as well as to remove possible plant pathogens, etc. The early studies by Bugbee, et al., (1985) found loss of Mg, Mn, and a few other cations I believe, from the nutrient solution. However, later studies by Frick and Mitchell (1993) and Nicholas, et al., (1993) found through plant tissue testing, there was no loss of some cations compared to controls, and concentration was higher than in control for some elements (due to better pH control). Frick, J. and Mitchell, C.A. (1993). Stabilization of pH in solid-matrix hydroponic systems. Journal of Hort. Science, Vol. 28, No. 10, pp. 981-984. hortsci.ashspublications.org/cgi/reprint/28/10/981 Barta, D.J., S.J. Volkweiss, R.B. Corey, and R. Bula (1990). Preperation and use of weak acid resins for pH control in plant growth media and soilless culture systems. Wisconsin Center for Space Automation and Robotics, Univ. of Wisconsin, Madison. Joseph C. Nicholas and James E. Harper (1993). Effect of MES [2(N--morpholino)ethanesulfonic acid] and amberlite IRC--50 resin on nutrient pH control and soybean growth. Journal of Plant Nutrition, 16(5), 895-909. Bruce G. Bugbee and Frank B. Salisbury (1985). An evaluation of MES (2(N--Morpholino)ethanesulfonic acid) and amberlite IRC--50 as pH buffers for nutrient solution studies. Journal of Plant Nutrition, 8(7), 567-583. --- It is my understanding that washing with dilute hydrochloric acid will make the resin absorb mainly cations, and release H+ protons, correct? Please see the follow for my reasoning: Ion Exchange Resins David Alchin Ion Exchange Resins - New Zealand Institute of Chemistry (NZIC) (n.d.) nzic.org.nz/ChemProcesses/water/13D.pdf "... If the water needs to have the mineral content entirely removed it is passed through a resin containing H+ (which replaces all the cations) and then through a second resin containing OH- (which replaces all the anions). The H+ and OH- then react together to give more water. Demineralisation Virtually all the dissolved matter in natural water supplies is in the form of charged ions. Complete deionization (i.e. demineralisation) can be achieved by using two resins. The water is first passed through a bed of cation exchange resin contained in a vessel similar to that described for softeners. This is in the hydrogen ion form brought about by the use of a strong acid regenerant (either hydrochloric or sulphuric). During service, cations in the water are taken up by the resin while hydrogen ions are released. Thus the effluent consists of a very weak mixture of acids. The water now passes through a second vessel containing anion exchange resin in the hydroxide form for which sodium hydroxide is used as the regenerant. Here the anions are exchanged for hydroxide ions, which react with the hydrogen ions to form water. Such twin bed units will reduce the total solids content to approximately 1-2 mg L-1." --- For drain-to-waste systems I was thinking of filling a PVC pipe drilled with small holes (or screen) with Amberlite. Then placing that pipe in the reservoir and attaching a small water pump to the PVC pipe to push over the beads. Does that seem wise to help control pH drift in the reservoir in drain-to-waste? --- Have you added Amberlite to soiless media? For soilless (or soil) drain-to-waste, were the soil(less) solution and rhizosphere can have drastically different pH than reservoir, I found a good study looking at addition of Amberlite DP-1 to media. The study looked at the addition of 6% and 12% (vol) Amberlite DP-1 to total volume of soilless media (2:1 ratio vol/vol of vermiculite and perlite). The study also looked at 5 and 10 mM MES, to the nutrient solution, for the same media. The Amberlite mix of 6% did best in terms of plant growth and response, but the 10 mM MES and 12% Amberlite had the closest pH range within limits. --- Do you include chloride (Cl) into your nutrient solution? I ask because it was written by D.Alchin (n.d.) that Cl damages the resin. I plan to include 0.5 ppm Cl and 0.25 ppm (residual) chlorine dioxide (as "Selectrocide"). The chlorine dioxide is an antimicrobial and helps to keep drip lines free from biofilm, as well as to prevent algae. Do you think my plan will too readily damage the Amberlite? --- Have you had tissue tests carried out for elements such as NO3, NH4, P, K, Ca, Mg, Mn, etc., for plants grown with and without use of Amberlite? And have you had tested the nutrient solution (elemental profile) after running it through the Amberlite filter (without interaction with roots)? That's too bad, sorry to hear. I was most interested in reading your thoughts about how you may be misusing amberlite, re losing cations from solution, or not misusing amberlite (if you're goal is to take cations and release H+). Does this mean you are no longer working on HydroBuddy? Thomas, did you try using resin? Can you share the details pls. Hi Daniel. How is it going with resin? Can you inform us pls? Hi Daniel, thanks for this gem of a post. This has the potential to make a big difference in my hydroponic system which has a quite small reservoir. 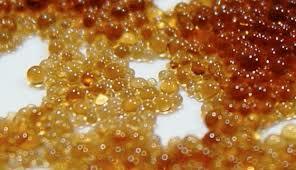 One question though, the chinese versions of the resins you mentioned, can you provide the name for those? Amberlite cg50 is not easy to find in sweden and most american companies don't ship outside of the us it seems. I figured the chinese resins could maybe be found on ebay. Thank you! Hi Dr. Fernandez, just a quick one. Would you still recommend as a constant fix for PH? Is it safe, health wise when it is mixed with the nutrient solution plants being edible. Hi admin , i cannot find any Ambertlite CG50 on internet to buy , do you know where i can buy this , thanks !